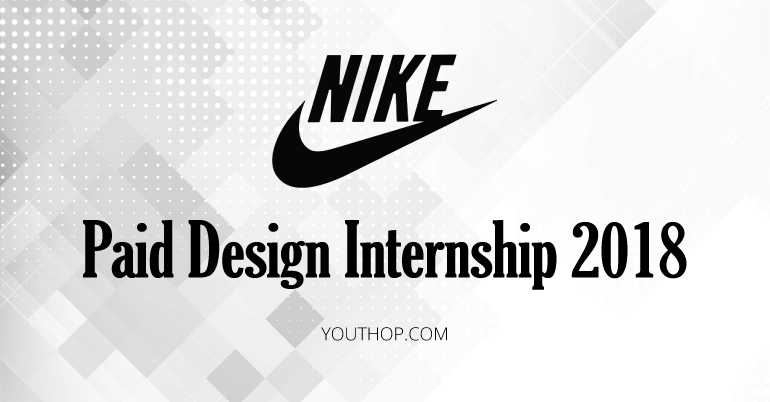 Paid Design Internship 2018 at NIKE Inc.
Nike, Inc. is an American multinational corporation that is engaged in the design, development, manufacturing, and worldwide marketing and sales of footwear, apparel, equipment, accessories, and services. NIKE Inc. does more than outfit the world’s best athletes. It is a place to explore potential, obliterate boundaries and push out the edges of what can be. The company looks for people who can grow, think, dream and create. Its culture thrives on embracing diversity and rewarding imagination. The brand seeks achievers, leaders, and visionaries. At Nike, it’s about each person bringing skills and passion to a challenging and constantly evolving game. Internships are open to students from around the world. As a Nike Design Intern, you’ll create or refresh existing designs that reflect Nike’s design philosophy and inspire targeted consumers. You will execute design projects with the intent that they will go to market. You’ll have the opportunity to research consumer/athlete and market needs based on a design brief. You also work on an individual design project that will culminate in a Design Gallery Show and a cross-functional project that will be presented to Nike Executive Leadership at the end of the program. In Nike’s paid internship program, you will get a full immersion into the brand’s culture of curiosity and innovation. As an intern you will get to interact with top company leaders, tackle complex business challenges, and build relationships and skills that endure far beyond your several months at Nike. You can work on teams such as Design, Global Communications, Digital and Technology, Finance, Supply Chain and practically every other area of the company. You will gain access to Nike’s world-class facilities and employee benefits, including product discounts. In order to complete the application process,you need to send a portfolio . The following information outlines the submission requirements.